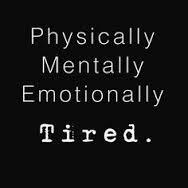 Did you ever have “just one of those days” when everything seems to go haywire from the time that you step out of bed until you finally get to fall back into bed? And then that day becomes a week of “just one of those days”? The kind when everyone from everywhere is demanding something from you with a deadline of YESTERDAY! And then what you do get done, it isn’t right! Arrrgh! 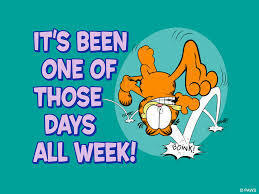 That has been my week this week and I am almost certain it has probably been that type of week for some of you too. So what do we do about it? Let it get us down? Let it stress us out? Heck NO! We won’t go down that path! We will rise up and be strong! Well, maybe after a few of these stress releasers……. 1) Remember the old time Calgon commercials from yesteryear? (OK, so I’m dating myself) You know, where the woman was having a really really bad day and she finally broke and said, “Calgon, take me away!” There was actually something to that. A nice warm bath with bath salts or bubbles, some aromatherapy of lavender or eucalyptus or peppermint, maybe some votive candles can do wonders to release and relieve stress and wash away the yuck from the day. 2) Take a walk outside in nature…no Walkman, no cell phone…just you and nature. Smell the smells, listen to the birds, see the sun shine down through the trees. Let your mind and all the stresses from the day just melt away into Mother Earth beneath your feet. Ahhhhh! 3) Meditate! Sit in a quiet room, turn off the phones and TV, shut out the dogs and cats (or better yet, have your significant other take them for a walk), turn down the lights and breathe! If you can’t stand the quiet or have a difficult time stopping the mind chatter, put on some quiet soothing music or a guided meditation. Relax! 4) Yoga, dance, or other movements are other great ways to work out frustrations and anger. (Yoga’s what started changing my energy tonight) Believe me, when you are in some of those positions, there is no way you can be angry or feel beat down! Be strong with the Warrior! 5) Journal….or write a blog! It’s a great stress release to get everything that’s been bugging you all week….people! job! kids! (I guess they fall under the “people”category) and everything else that has made this one crazy week. Once you’ve put it out on paper (or a computer screen) the energy changes and flows from you and then you can be filled with peaceful, loving energy. So the next time you have “just one of those days” (or weeks!) try one of these methods to wash away that bogged down energy and feel lighter and move loved! 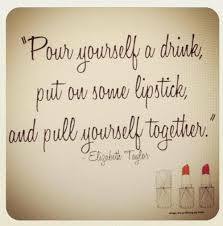 What do you do when you are having one of those days? If it’s different than the five I listed above, let us know so we can try it!